Saving the earth, one bathbomb at a time: Lush expand naked packaging | SHEmazing! Lush is one brand that is renowned for being hyper conscious about the impact the cosmetics industry has on the environment. Because of this, the brand is expanding their Naked packaging initiative to include more products, some of which are in their anticipated upcoming Christmas and Halloween ranges. The initiative aims to completely eradicate the use of excess plastic in packaging. 'In just one year, a single person uses up to 200 pounds of plastic, 60 pounds of which are immediately thrown away,' Lush explain on their website. 'Peek into our #lushchristmas shower range and notice some new naked alternatives,' reads a recent Instagram post. 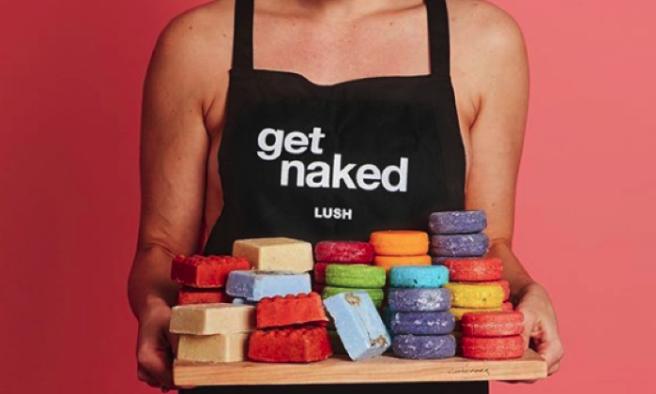 All of the Lush bath bombs already come completely plastic free, and their solid shampoo bars have been a massive success, so it's no surprise they are taking the next step to further minimise their plastic usage. In another Insta album of images, the new Naked Snow Fairy packaging can be seen next to the usual plastic bottles, which haven't been phased out quite yet. If you can't give up the handiness of a plastic bottle for whatever reason, don't be disheartened. All of the Lush plastic is 100pc recycled.